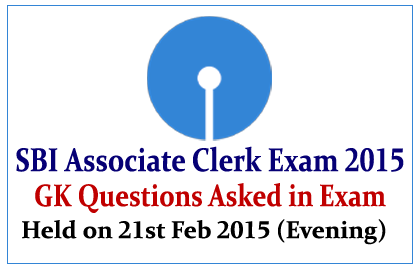 The List of General Awareness Questions asked in SBI Associate Clerk Held on 21st February 2015 (Evening Batch) with Answers was given below. What is the Headquarters of IMF? Which City has the Highest Urban Population in India? Who won the Noble Prize in Literature? Which of the Indian Scheme was recorded as the Guinness Record? What is the name of the scheme that was launched for the Village Development by Union Government? Who is the winner of the Australian Open Tennis Mixed Doubles? Which Banks acts as the Banker to the Government? Largest Uranium Mine was located at? Who is the founder of birth control pills, was died recently? What is the Constituency of Union Minister Thawar Chand Gehlot?